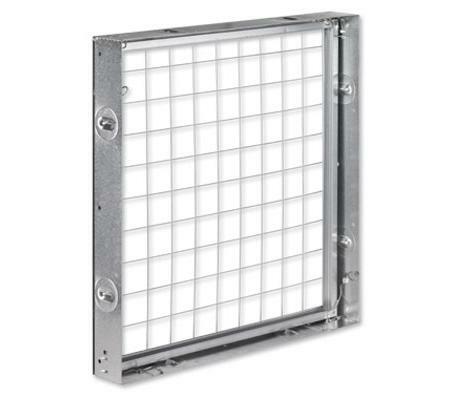 Filter wall type SIF for installation into ventilation systems. Fitting of filter elements for the separation of coarse dust and fine dust and for the adsorption of gaseous odorous substances and contaminants. 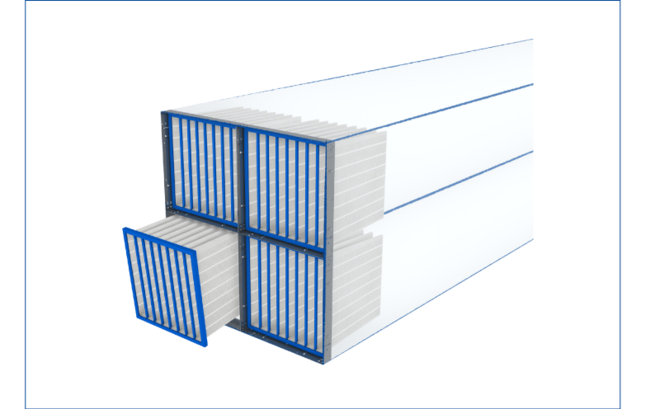 Filter wall consisting of standard cell frames with perimeter groove as base element, installation subframes, and flat steel stiffeners. 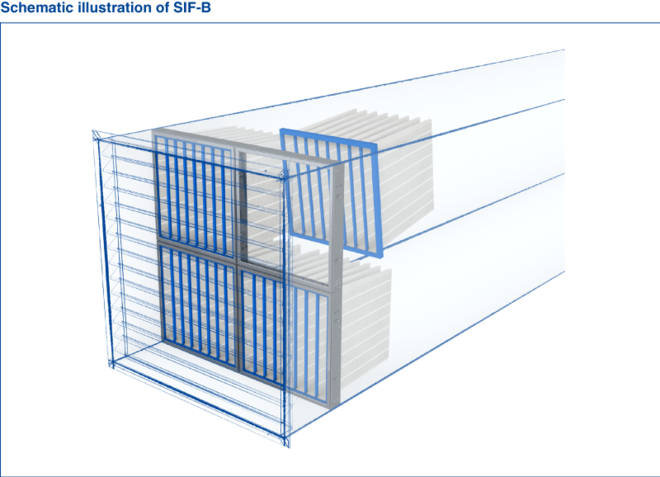 Standard cell frame with perimeter groove for various filter frame depths. Four spring clips for secure sealing between the cell frame and the filter element. 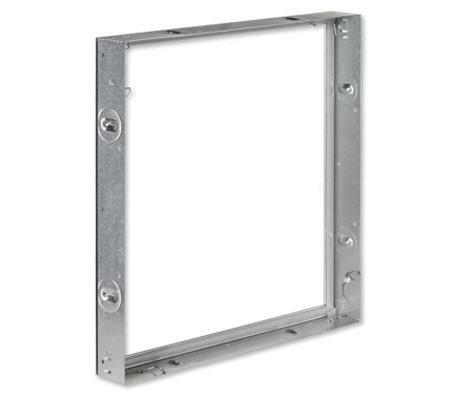 The installation subframe is inserted into the groove of the cell frame and bolted into place at the corners. The flat steel stiffeners provide static stability. 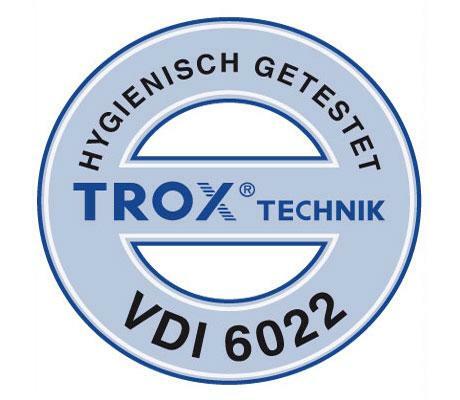 The filter wall meets the hygiene requirements of VDI 6022.